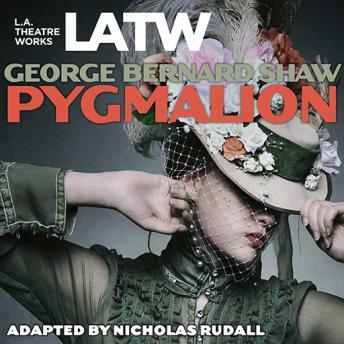 One of Shaw’s most enduring works, Pygmalion is an insightful comedy of class relations and perceptions, as played out between a Cockney flower girl and the irascible speech professor who has taken her on as a pet project. Described by critics as “a play of great vitality and charm,” Pygmalion inspired the award-winning stage and film productions of Lerner and Loewe’s musical, My Fair Lady. An L.A. Theatre Works full-cast performance featuring Roslyn Alexander, Shannon Cochran, Denise du Maurier, Rebecca MacLean, David New, Kenneth J. Northcott, Nicholas Pennell, Nicholas Rudall, Ben Whitehouse and Laura Whyte.